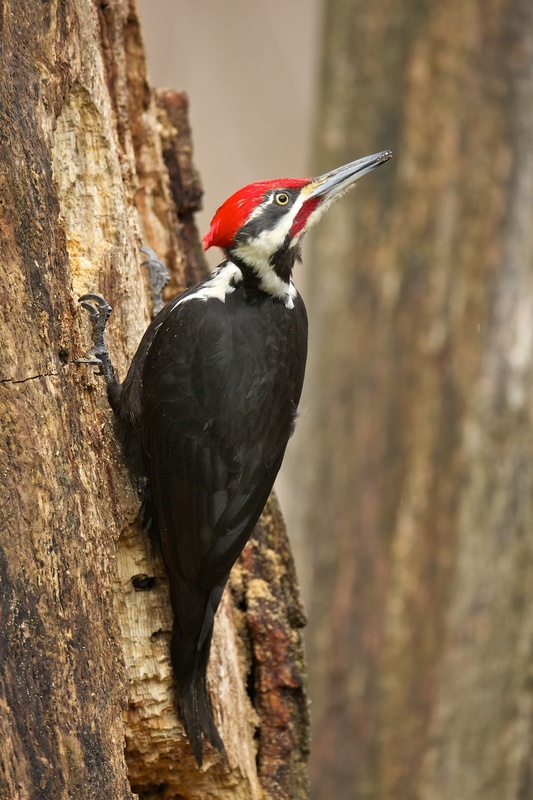 It turns out that some woodpecker species stay year round in the region where they nest, while others migrate south in winter. 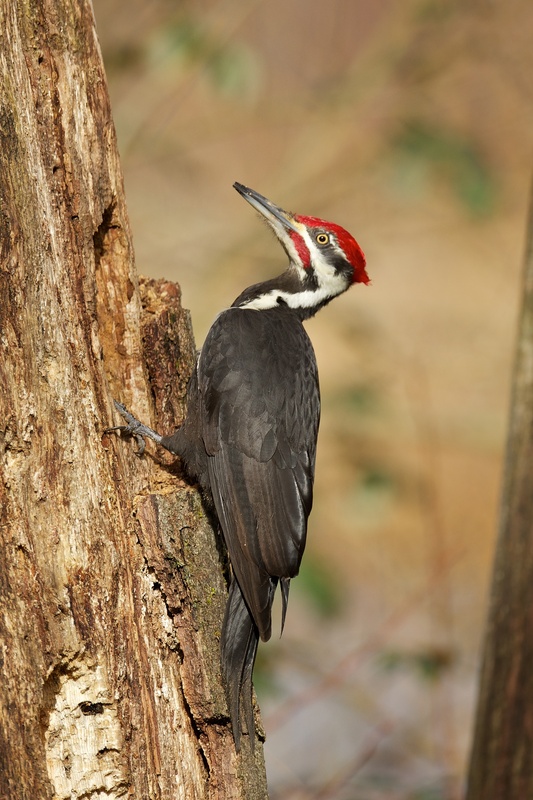 Those that remain through the colder months – well, it’s safe to say they’re not nesting now. No, these fall excavators are chiseling out roosting cavities, snug hollows where they’ll shelter during the cold nights of fall and winter. 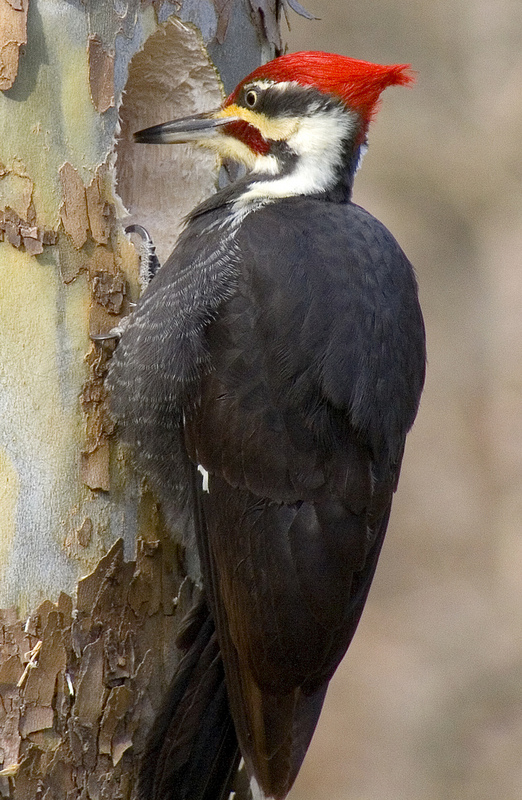 Many woodpeckers roost in such cavities, usually by themselves. Even the young, once they’re fledged, have to find their own winter quarters. Bird sounds provided by The Macaulay Library of Natural Sounds at the Cornell Lab of Ornithology, Ithaca, New York. 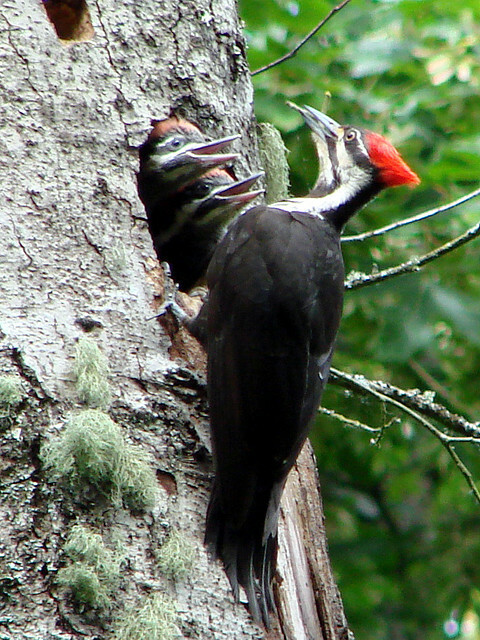 Pileated Woodpecker excavating a cavity  recorded by G.A. 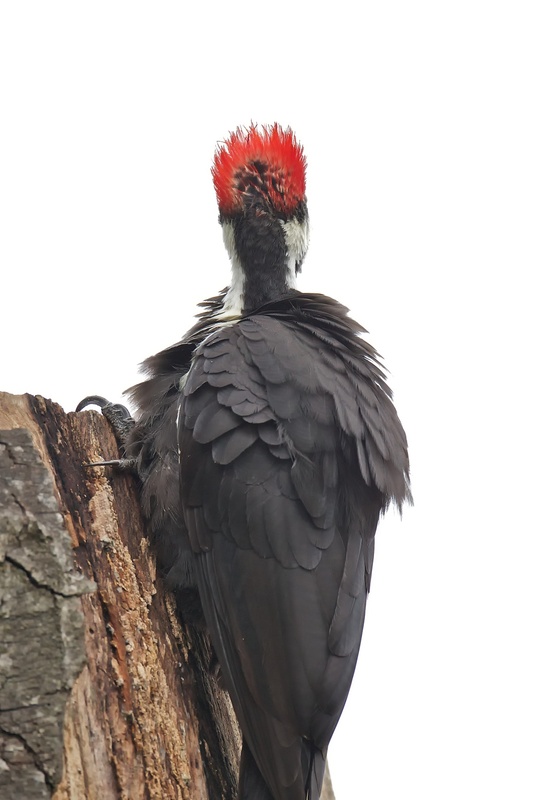 Keller; and begging calls of Pileated Woodpecker  by G.A. Keller. Information sources include: Alexander Skutch, Birds Asleep, U. of Texas press, 1989.